Burt E. Eisenberg has been providing legal services to South Florida since 1979. He concentrates his practice in the areas of real estate, estate planning, business law and foreclosures. 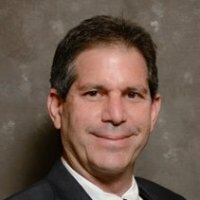 Having been born and raised in South Florida, Burt is very much aware of the focus and needs of the community in which he lives and strives to provide quality legal services to his clients. Burt is a member in good standing of the Florida Bar Association and Collier County Bar Association. He is an authorized agent of Old Republic National Title Insurance Company. He is admitted to practice in the State of Florida and the United States District Court, Middle District of Florida. He has closed thousands of real property transactions, formulated thousands of estate plans and helped to form and assist hundreds of businesses. Burt graduated from the University of Miami School of Law in 1979. He obtained his Bachelor’s degree from the University of Florida. He is active in several civic and non-profit organizations in Naples and believes in supporting the community which he is proud to serve. Burt E. Eisenberg is accepting new clients. E-mail him at beisenberg@burteisenberglaw.com. Richard Weldon is of counsel to the firm. He concentrates his practice in the areas of personal injury and general civil litigation. Mr. Weldon was born and raised in Sarasota, Florida. 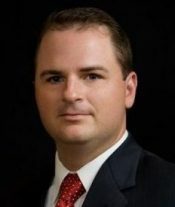 He is a member in good standing with the Florida Bar and has been an active member with the Collier County Bar Association and Lee County Bar Association. He is admitted to practice in the State of Florida and the United States District Court, Middle District of Florida. He received his Bachelor of Science degree in Business Management from Florida State University and obtained his law degree from the University of Florida, Levin College of Law. In the area of personal injury law, Mr. Weldon has handled hundreds of cases involving personal injuries or wrongful death. His clients are often impressed with both his legal knowledge and his genuine desire to help his clients during the litigation process. Richard Weldon is an active member of the community. He is a member and a past distinguished president of the Kiwanis Club of Pelican Bay. He is also a member of the University of Florida Alumni Association, the Southwest Florida Gator Club, and North Naples United Methodist Church.